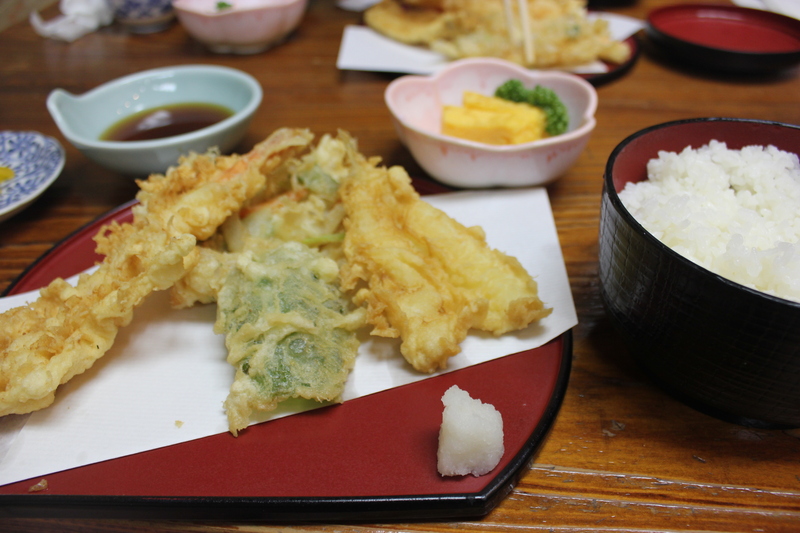 Yasukuni, Asakusa, and Lots of Tempura! 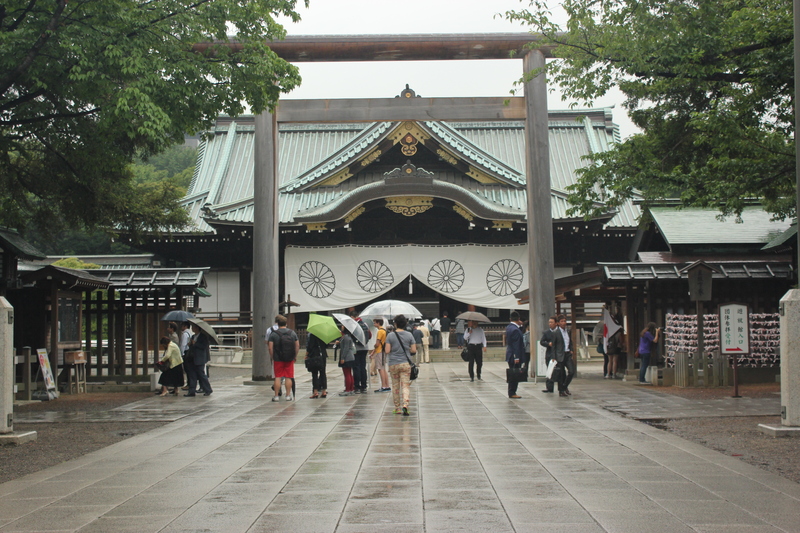 The other day we visited Yasukuni Shrine, a location surrounded by controversy. Yasukuni was criticized when it made the bold move to enshrine some of the Class A war criminals from WWII. Since then, politicians like former Prime Minister Koizumi would enflame the issue when visiting the shrine while in office. Fortunately, we did not draw much controversy with our visit. The grounds outside were very peaceful and serene with a long path leading up to the main shrine, or honden. However, because the main shrine is closed to the public, our group spent most of its time in the Shrine’s museum. Inside were several documents and relics from World War II. There was also a hall filled with old machinery such as a plane, submarine, and tank. I found it especially interesting to be inside a museum that represented a regrettable war for the nation. In regards to the United States, only the Vietnam War and Civil War come to mind as engagements that might embarrass the country. However, even the Vietnam War, though unpopular, was intended to combat the spread of communism. The United States was not trying to conquer Vietnam. And the Civil War would only embarrass those states that fought for the Confederacy. 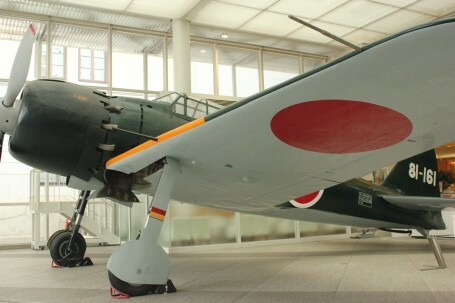 Yasukuni Shrine’s museum, on the other hand, represents a war that the Japanese were not only on the losing side of, but would probably prefer to forget about. It is somewhat akin to a WWII museum in Germany, where there is perhaps an obligation to exhibit some sense of regret for the transgressions. In my opinion, Yasukuni’s museum serves an important role and walks the tightrope well. I did not find any evidence of the museum glorifying Japan’s role in the war, nor did I notice any attempts at concealment or apology. Instead, the museum presents a sort of neutral and objective presentation of its artifacts and the historical narrative, electing not to take a side. In the end, I think this is probably the best approach and the most beneficial to scholars. Our class under the Kaminarimon. Photo courtesy of Olga Lexell. 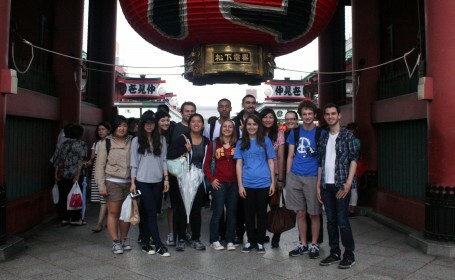 The next day we visited the Edo museum and Asakusa. The Edo museum was not quite as scandalous as Yasukuni but it hosted an impressive array of objects from Japan’s deep past through WWII. Afterwards, we headed to Asakusa, an area replete with street-side shopping destinations. We enjoyed some delicious tempura at a very traditional restaurant where we not only took off our shoes but sat on the tatami to eat. It doesn’t get more traditional than that. Then we explored the area beginning with Kaminarimon (or Thunder Gate), a landmark gate with a giant lantern hanging from it. We saw several small shops much like the variety you might find in Los Angeles’ Chinatown. 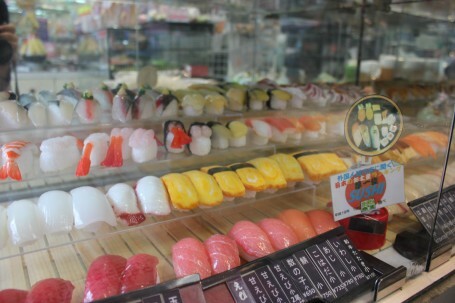 There were vendors selling food, including popular deserts like freshly made mochi. Many of us picked up some souvenirs while at Asakusa. I bought a small, cloth banner with a Japanese design. We also had a chance to walk around Kappabashi-dori. The shops there sell kitchen and restaurant supplies, including the wax food many restaurants use to show examples of their menu. The wax sometimes looks as good as the actual food!